After I had a chance to demo Max Blastronaut at PAX, I got to play Cadenza Interactive’s entry to the Dream.Build.Play. contest, Sol Survivor. Like many tower defense games, you build towers to stave off an ever-increasing number and variety of “creeps” from reaching a certain point on a map. Unlike many tower defense games, however, you can fend off the horde with the help of a friend. Sol Survivor takes a sci-fi spin to the tower defense genre so instead of seeing wooden towers firing arrows and casting freezing spells, the towers you construct here shoot lasers and spray gobs of green goo to slow the oncoming enemy horde. As in other tower defense games, building towers costs resources that are replenished by killing the enemies, and the towers can be upgraded to increase their range and potency. Which towers you have access to, however, depends on the commander you select. There are around a dozen commanders to select from and they vary from a cyborg to a grizzled, cigar-chomping vet that looks straight out of WWI. Choosing a commander not only determines which turrets you have access to, but also determines the special skills you can use to help eliminate the enemy. One commander, for example, has an orbital laser that you can guide along a path of enemies as long as you have the energy to support. The energy used for these skills slowly regenerates over time and is separate from the resources you gain from killing enemies. The best part of Sol Survivor is that it offers not one, but two modes of co-op. 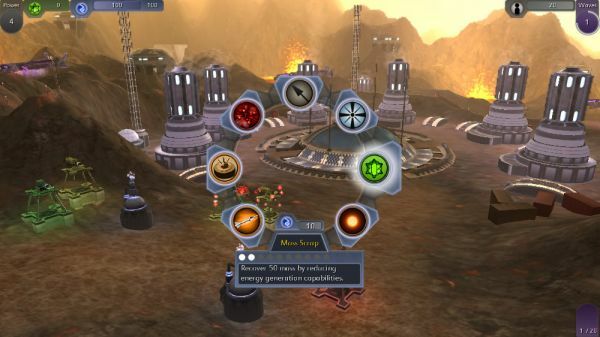 In the co-op campaign, one player is in charge of building the turrets while the other player provides support via the special abilities. Each player chooses their own commander, so there is some mix and matching between the turrets you can build and the abilities you can use that isn’t available via the regular campaign. This mix and matching requires some degree of coordination between you and your partner as well, as certain commanders cannot build the turrets necessary to take out particular enemy types. Thus, the special skills of the other commander may be required to help protect the base. In the level I played at PAX, I chose a commander who was a bit enamored with fire so many of his turrets revolved around fire in some capacity (e.g., flamethrower turrets, cannon turrets, and anti-air guns). My partner, a member of the Cadenza Interactive team, chose the commander with the aforementioned orbital laser ability. The downside to the pyro commander is that he has no turrets that can detect cloaked units, thus I was reliant upon my partner to eliminate those threats using his special abilities. In the multiplayer co-op mode, up to 8 players can team up to defend the base against the onslaught of enemies. 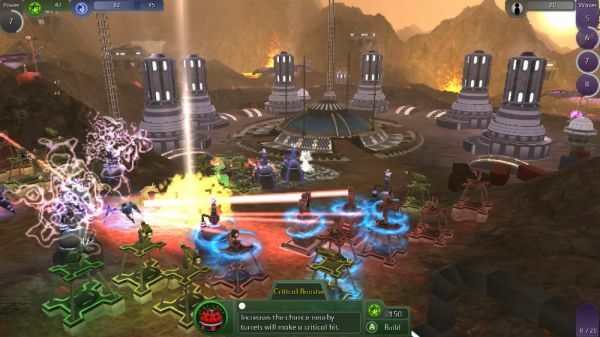 Unlike the campaign co-op, each player builds their own turrets and has access to their own abilities. The map is divided up into sections where only certain players can build, and sections where all players can build. Thus the group has to work together to determine not only the best locations for their turrets to ensure nothing gets through, but the best combination of turrets as well. Currently, Sol Survivor is slated to be released on the Xbox 360 via the Xbox LIVE Indie Games channel and the PC. No specific release date has been given just yet for either, although the Cadenza Interactive team did tell me that the game is currently undergoing review for Xbox Indie Games, so it’s a safe bet that it’ll likely show up in the Indie Games channel sometime within the next few weeks. While there certainly have been quite a few tower defense games to come out over the past year, the co-op aspects of Sol Survivor make it a fun and welcome relief from the usual releases in this genre. Page created in 0.9094 seconds.